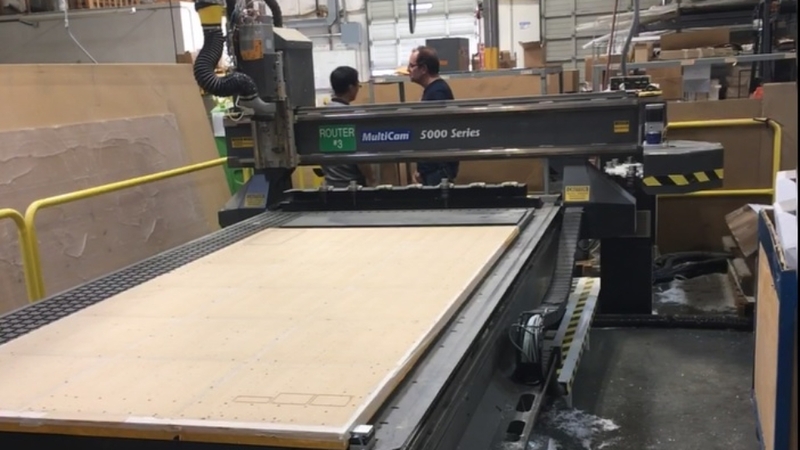 Multicam 3 Axis CNC Router C559 | CNC Parts Dept., Inc.
November 7, 2018 by CNC Parts Dept, Inc.
Used Multicam 500 series 3 axis CNC router for sale, originally manufactured in 2007, comes equipped with a stationary 5 ft. x 10 ft. vacuum router table w/ moving gantry, 16 in. Z axis stroke, 16 hp Omlat ATC spindle motor, 12 position tool carousel, and 7 position tool rack. Multicam handheld controller included. To request a quote for this Multicam CNC router for sale, call us at (858) 922-4967 or send us a message on our website.